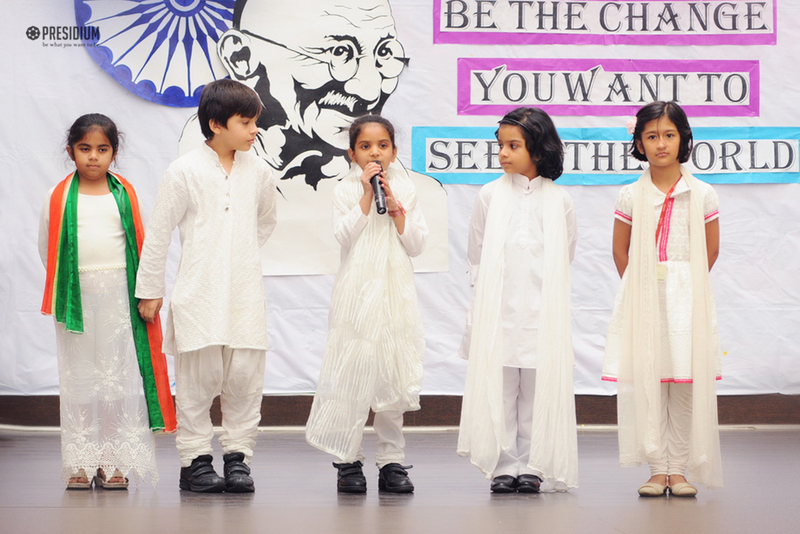 To pay tribute to the real hero of the Indian freedom struggle, the Father of the Nation and the real pride of India, Gandhi Jayanti was recently celebrated in the school premises of Presidium, Raj Nagar. The school choir sang beautiful bhajans ‘Vaishnav Jan To Tene Kahiye Je' and 'Raghupati Raghav Raja Ram’, which have inspired many people, and were the favourites of our dear Baapu. 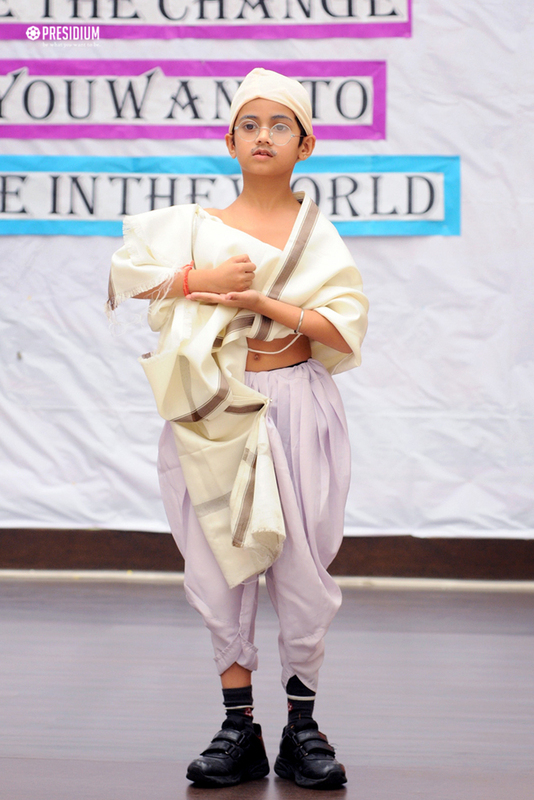 The performance filled the whole atmosphere with pious and patriotic waves.The students also got acquainted about the life story of Gandhi Ji through a quiz, based on his life story. Deeply influenced by the Gandhian philosophy, the staff and students realised the importance to put into practice his noble thoughts in their day to day life. One day surely India will live as an epitome of Vasudev Kutumbakam.